exhibit winners at the just-ended 91st Agriculture and Commercial Show of Zambia in Lusaka yesterday . Picture By JAJAH COULIBALY . 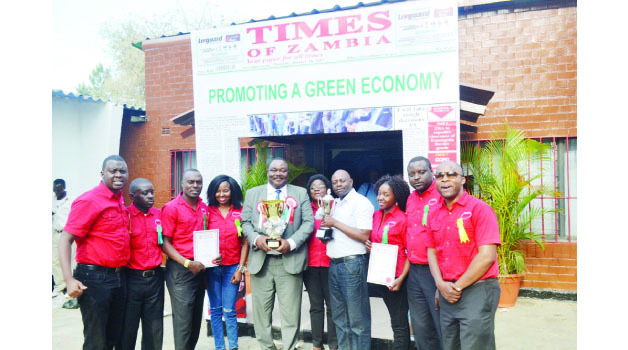 TIMES Printpak Zambia Limited, the publishers of Times of Zambia and the Sunday Times of Zambia scooped Best Commercial and Best Media awards at the just-ended 91st Agriculture and Commercial Show. This year’s show was held under the theme ‘Promoting a Green Economy’. Times Printpak Zambia Limited emerged first in the Commercial Category, beating the University of Zambia ((UNZA) and First Quantum Minerals who came out second and third, respectively. Under the media category, Times Printpak got first position, followed by the Zambia Daily Mail in second and Muvi Televison trailing in the third positions, respectively. Commenting on the awards, Times Printpak Zambia Limited managing director Bestone Ng’onga said the company was delighted to have scooped two awards at this year’s show demonstrating its commitment to delivering quality news to the nation. “We are pleased and we thank God we have been able to win the Best Media and Commercial exhibits, a reflection that we are still the best media in Zambia,” he said. “One attribute for winning is team work. 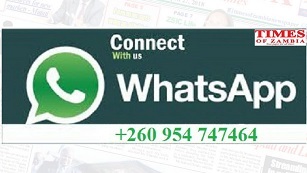 As the Times of Zambia, we are trying to promote team work in everything that we do because we believe that where there is unity God commands the blessing,” Mr Ng’onga said. He said the company was promoting three principals of gaining competitive advantage on the Zambian market, which are innovation, quality and low production cost. “All these fit into this year theme of ‘Promoting a Green Economy’. May I also take this opportunity to thank the workforce at Times of Zambia for the perseverance and dedication to work even in hard times,” Mr Ng’onga said. Times Printpak Zambia Limited first exhibited in 2015 and came out third in Best Media category but vowed to scoop the first position next time they participated in the Agriculture and Commercial Show. “We did not participate last year, but our participation this year has won us two awards, the next participation we expect to scoop the overall and we mean it,” Mr Ng’onga said.